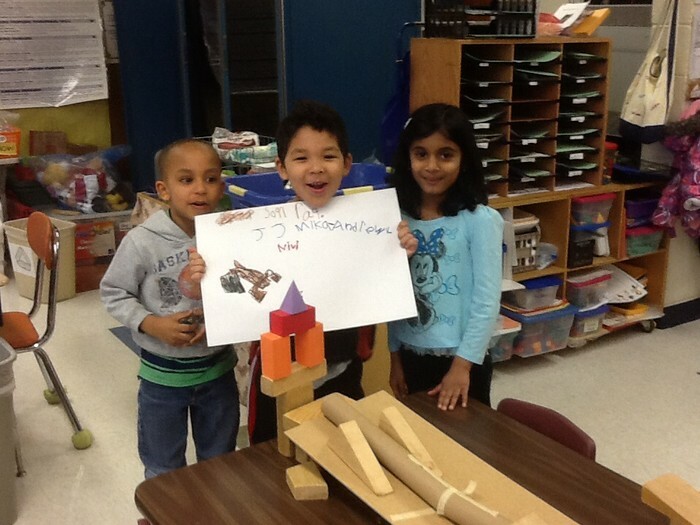 Building on what we learned last week, teams built and tested new ramps. 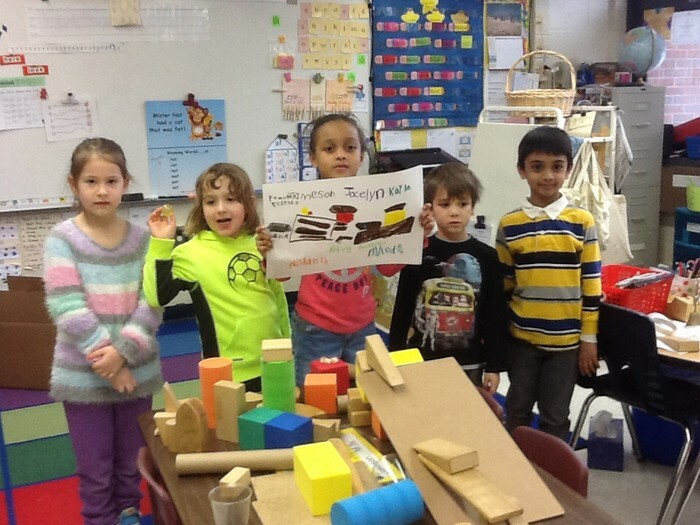 Each team named their ramp and drew a picture of their ramp design. 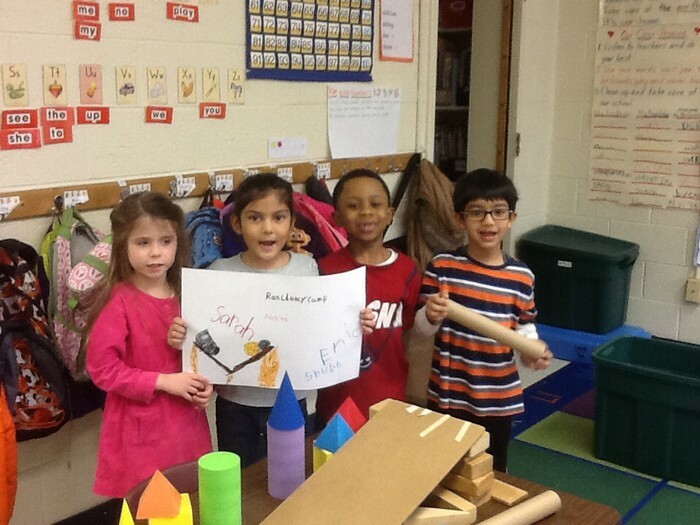 Teams are proudly posed with their creations below. 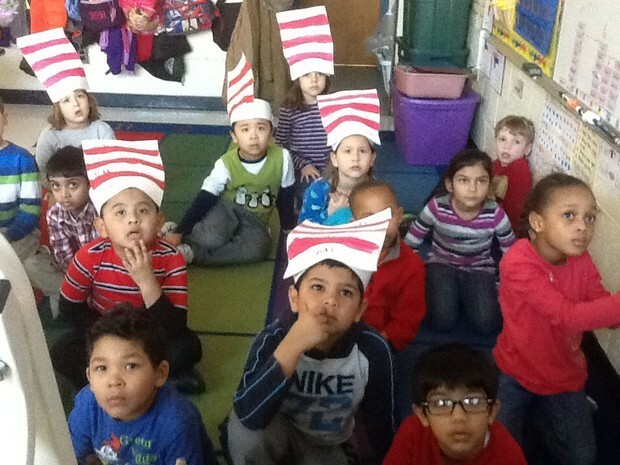 We celebrated Dr. Seuss's birthday on Monday with cupcakes and a video of Horton Hears a Who. All week long was Read Across America week. We read several Dr. Seuss books including Green Eggs and Ham which we read today. We began writing our own rhyming class Green Eggs and Ham book! Ben Franklin had many guest readers this week and each class had the opportunity to be the live studio audience listening to the story on the morning announcements. Our reader was Dr. Edwards! She read us a nonfiction penguin book and challenged us to tweet facts we learned. Follow the link below to my twitter page to check it out! 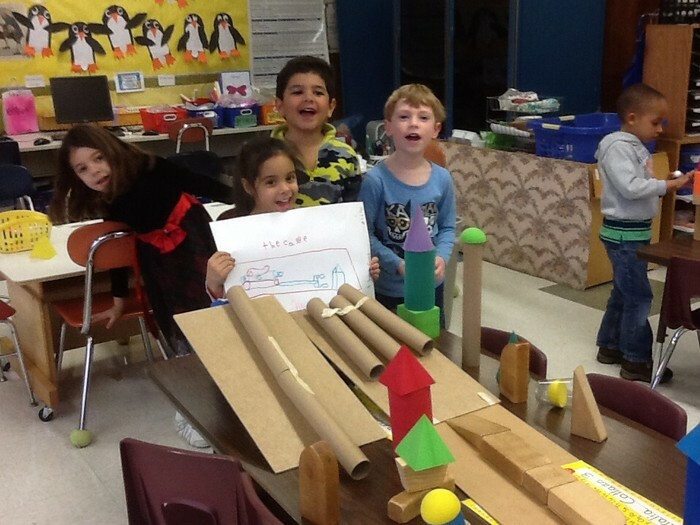 My goal is to tweet some more fun classroom happenings this spring. I hope you'll follow me.